Yesterday Ubisoft livestreamed a bit of a developer’s diary regarding Beyond Good and Evil 2. 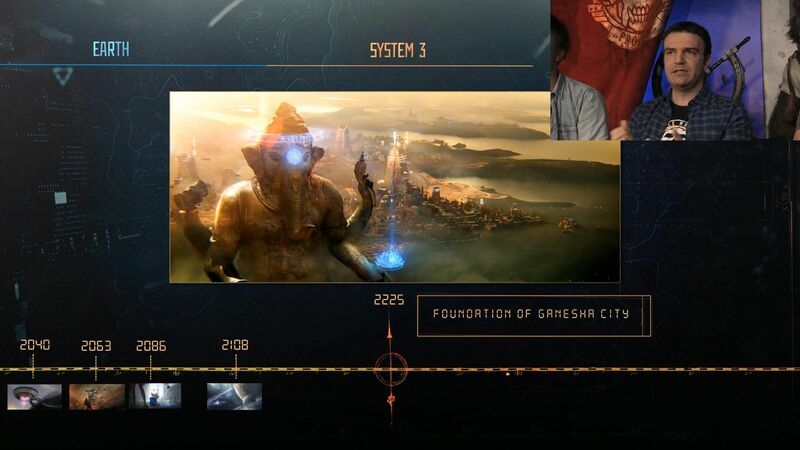 Called the “Space Monkey Report #2,” the Ubisoft Montpelier dev team showed some gameplay, several new screenshots, and their working timeline for the story. As this is a prequel to Beyond Good and Evil, it will not explain the ending to the first title. However, some of the mysteries from the original will be explained. The devs also assured viewers that even newcomers can come to Beyond Good and Evil 2 without needing to know anything about the first game. This installment takes place in System 3, founded by Expedition 3 after humanity left Earth in 2108. Everything in the game takes place in this solar system, yet there will also be connections to other systems. Be sure to watch the full livestream above to see all of this in action. If you’d rather get to the screenshots taken from the livestream, we have a few of those below. The devs did promise they would have more to show at E3, which we hope includes some hands-on availability. Thus far, Ubisoft has not announced a release date or even confirmed release platforms. Perhaps E3 2018 will offer more in that arena as well.